There are plenty of things that not necessarily match the scope of this blog but that attract me and can be found in Barcelona anyway as well as in any other place in the world. 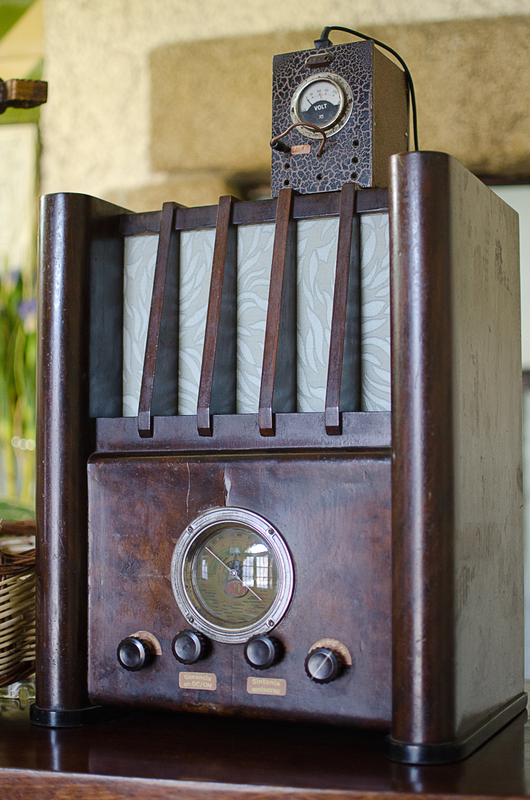 Vintage products have that charm that makes them so irresistible and well deserve a post or two, such is the case of this tube radio with its wooden case that I suppose was made in the 30s of last century. I wish I knew the date and the brand but I am no expert. The brand is Rigom and happens to be from Spain (check this book fragment with images in google book results about Spanish radios). If you want to see my vintage camera check this old post: Voigtlander Brillant which was made by that time too. Do you like vintage or retro objects? Have you published any articles or posts on such topic? It would be nice you shared your links here in the comments. That sure is vintage. A beauty!